John has an extensive commercial practice, including in the areas of professional liability, insurance, contractual disputes, equity and trusts, building, property, tax, torts, trade practices, corporations law, insolvency, and banking and finance. He has a large advisory practice and is an experienced advocate. Previously, he was a solicitor at Freehills and a special counsel at Norton Rose Australia. John has significant experience in class actions and other large-scale litigation. He acted for financial planning firms in multiple class actions following the collapse of the Westpoint and Timbercorp Groups, including Woodcroft-Brown v Timbercorp Securities Ltd (in liq) & Ors  VSC 427. He has acted for directors and professionals in other major litigation following high-profile corporate collapses, including those of the Great Southern Group and the Blue Diamond Deposits Trust, and in prosecutions and disciplinary hearings. He advises and acts in a wide range of professional negligence matters involving accountants, auditors, lawyers, financial planners, brokers, architects, surveyors, engineers, fund managers and valuers. In his broader commercial practice, John advises and acts in a wide range of disputes concerning joint ventures, partnerships, family enterprises, the sale of businesses, misleading and deceptive conduct, product liability, fire and property damage, life insurance, mortgages and guarantees, bankruptcy and corporate insolvency, and deceased estates. He is regularly briefed to provide specialist advice to insurers and insureds on policy interpretation and indemnity disputes. John graduated in law from the University of Melbourne. He is a member of the Australian Professional Indemnity Group and the Australian Insurance Law Association. 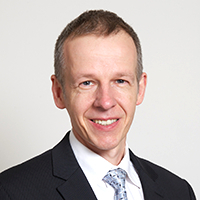 He is the author of Taxation of Partnerships (The Laws of Australia), and of articles on many aspects of commercial law including directors’ duties, professional liability and insurance law.